Opips & Jardel of Team Mistari are fast rising in the Kenyan entertainment scene. The duo who recently got nominated at Pulse Music Awards (Kenya’s hottest new award ceremony) has released a new banger titled OBVIOUS featuring Kenyan rapper Pro. 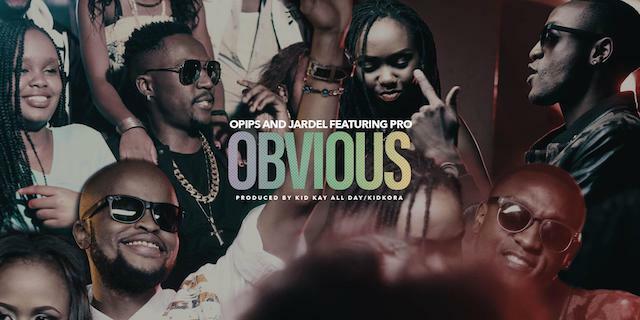 OBVIOUS is the third single off their upcoming debut album and was produced by KidKay of Red Republik and mastered by acclaimed producer Magic Mike. This entry was posted on Wednesday, March 21st, 2018 at 5:28 pm	and is filed under Kenyan Urban Soul, updates and tagged with Opips & Jardel Featuring Pro- Obvious. You can follow any responses to this entry through the RSS 2.0 feed.